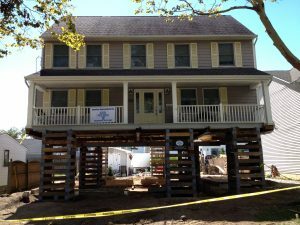 High and Dry House Raising LLC is a structural elevation construction company based in Manasquan, NJ. 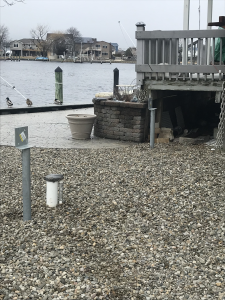 We specialize in house raising and lifting – including on-site moving, helical pile foundation system installation, steel building construction, many phases of ironwork, as well as bulkhead and seawall construction. Our principals have decades of experience in the house raising industry. High and Dry House Raising, LLC has a highly trained and qualified team that focuses on getting the job done fast, efficiently and safely. Because we are local, we can be on-site fast to give you a free estimate and answer all of your questions. 2004 Company Founded. Initial focus on residential (new) home construction. 2013 New focus on raising homes above flood levels to protect against rising seas.